A great find by Reluctant Beard Model! 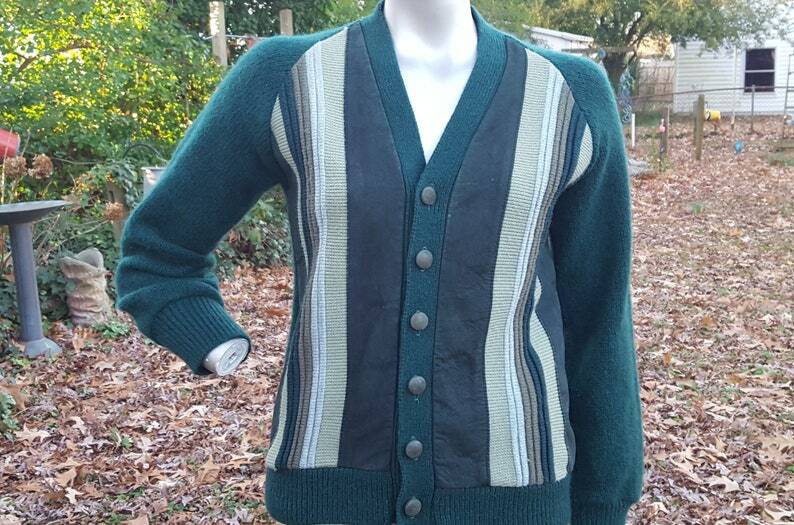 Mens 70s cardigan sweater in green and blue vertical stripes. Vintage sweater is accented with suede insets and matching suede buttons. A timeless addition to your modern wardrobe and super fun as part of a 70s costume. Colors are hunter green, celery green, army green and pale blue.